Starbucks is offering Free Samples again! 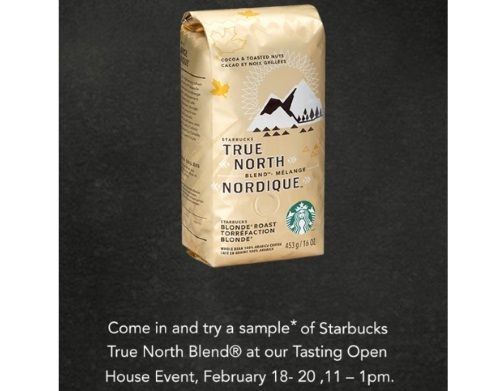 Get a Free Sample of their True North Blend at their Tasting Open House! This event is February 18-20 from 11am-1pm. Offer available while quantities last at participating locations. This sample is a 4oz.